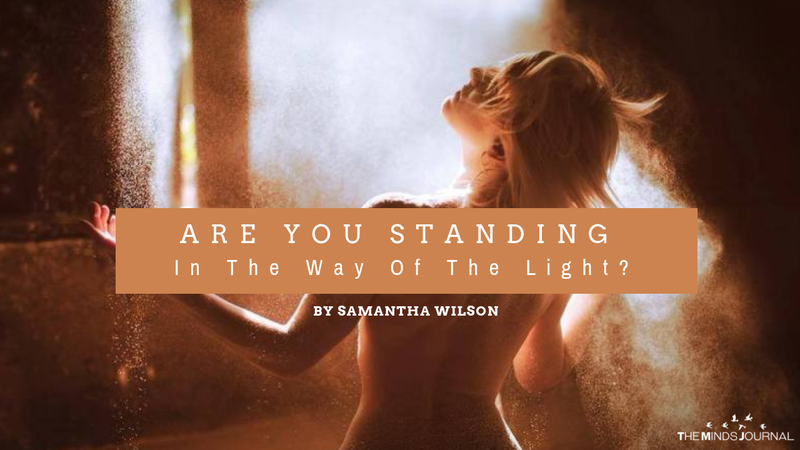 Are You Standing In The Way Of The Light? A piece of advice I repeat to myself often and loud is “Get Out Of Your Own Way, Sam”, with a roll of my eyes and tut on my lips. It sounds a little strange as how can I be in my way? But I do get in my way, less often than I used to, and always with negative results. When I tell myself to get out of my way, in simple terms I’m telling myself not to self-sabotage and project my shadow side in my thoughts and actions, which may lead me to react to any situation in life from a place of fear. It’s all those niggling fears, big and small, that are just fears, false evidence appearing real, yet take on a larger than life quality. Those fears stop me living life to the full and being all that I can be. I’m not alone in this. We all have a shadow side of negative subconscious beliefs, conditioning and fear built up from emotional wounds and social conditioning accumulated over the course of our lives, and it’s the projection of our shadow side onto circumstances and people, together with our ability to self-sabotage, that brings us down every time. And this is how we stand in the way of the light, our inner light, our soul. We all hold this light inside of us and no amount of conditioning is able to blow our light out. The dark layers of our shadow and our fears only serve to block our energy and dim our light, which holds the key to our creative and spiritual happiness, our health and well-being. It is our birthright to live a life of freedom, not only from the control of others but from ourselves in terms of how we self-sabotage. At the crux of our shadow side is one common theme “I am not good enough” stemming from every negative experience we have ever had. It’s the bullying in the playground when you were a child, the boss who belittles you, and the boy who treated you badly and broke your heart. The advertising on television projecting the perfect idea of what we must be, the possessions we must own and the judgement of other people, even those close to us. And the worst culprit has to be comparing ourselves to others. It all adds up to a feeling of “I am not good enough” and through this common fear, we respond again and again from this faulty view, a kaleidoscope of conditioning that distorts our reality, affecting our relationships, health and well-being and ability to lead an authentic, unique and ultimately, a happy life. It’s the equivalent of throwing all our fear from the past at someone or something in our present. It is a bitter pill to swallow when we see how the behaviour of others can lead to the blockages arising in ourselves, but it is an empowering act to stop the blame game and actually see that only we can free ourselves from our shadow side, heal our wounds and become whole once again. We are truly in control of ourselves and our lives. We can master ourselves and our energy. We can get out of our own way. And that is what Freeing Your Wild is all about. Awakening to the knowledge of who we truly are at our core and clearing away the blockages and false beliefs, stepping out of the expectations of society and shining our light in a way only we can, as the unique, beautiful souls we are. That we are good enough, more than good enough. To be free, the masters of our own lives and destiny as we unshackle ourselves from any negative thought, belief or conditioning that is holding us back. Samantha is a free thinker on a personal quest for an authentic and heart-based life. After a 15 year career as a Lawyer in the UK, she took a leap of faith to change her life. 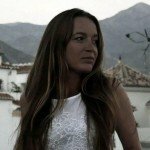 She lived in Andalucia in Spain and now spends her time in Porto, Portugal. She works as Life Coach and helps women to overcome their fears, reconnect to their passions and purpose to start living the life they have always imagined. In 2019, Samantha will be leading her tribe on adventure journeys on the Camino de Santiago.